Revelation of the Year category was created for new products, particularly innovative and functioning in the market for a relatively short period of time, but at the same time winning customers’ hearts. The plebiscite also distinguishes products with an interesting and effective new advertising campaign, or those that have undergone a marketing facelift (new graphics, new logo, refreshed formula, etc.). Only a few companies or manufacturers are given an award. It is awarded by the Editorial Verification Commission. 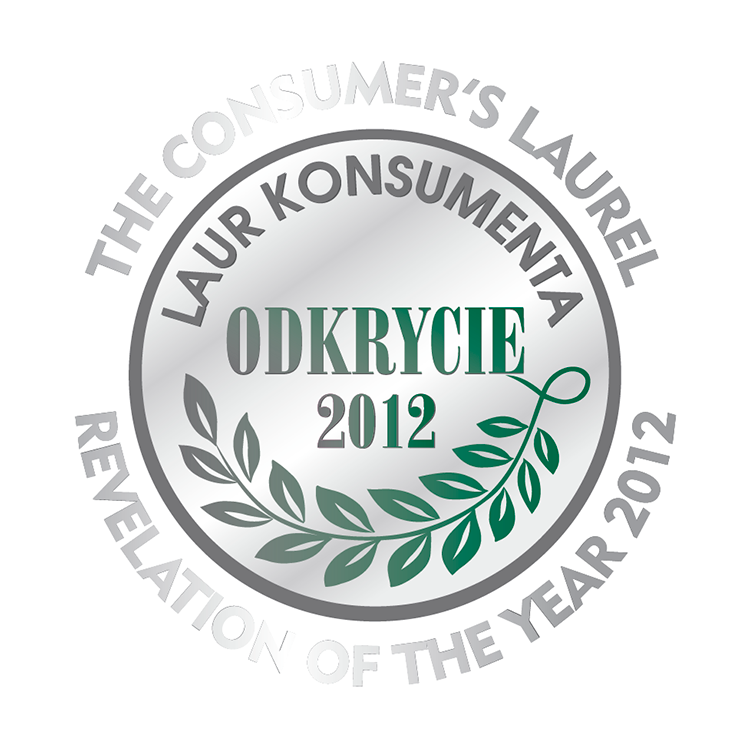 "Consumer’s Laurel" is the largest consumer program in the country. All-Poland survey, as in previous years, will answer one of the fundamental questions asked by producers: which products / services are currently the popularity leaders in their group. Multifunction BB Cream BABY FACE ™ Effect 6 in 1 with mineral pigments by Eveline Cosmetics perfectly evens skin tone. I conceals imperfections and discolorations, at the same time perfectly moisturising, nourishing and protecting skin. It spreads easily and evenly on skin, ensuring immediate BABY FACE™ effect of perfectly smoothened skin.